Classic teddy bears to construction sites. 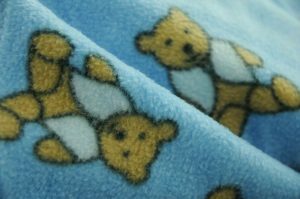 Here are some of our fleece fabrics perfect for babies and toddlers. Simple, friendly and recognisable shapes and faces, soft pastel shades or bold bright for the older toddlers.